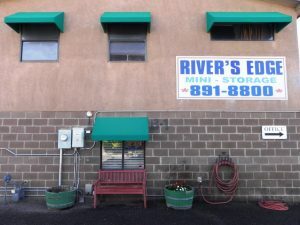 River’s Edge Mini Storage goes above and beyond to ensure that our tenants have all they need for secure storage success. Our Rio Rancho, NM storage is equipped with many outstanding features and services to provide unbeatable file storage, household storage, or boat and RV storage. We offer great options for residential storage and commercial storage all available for long or short term storage leases. We proudly offer ClickandStor® 24/7 Move-In, drive-up and supplies for sale.